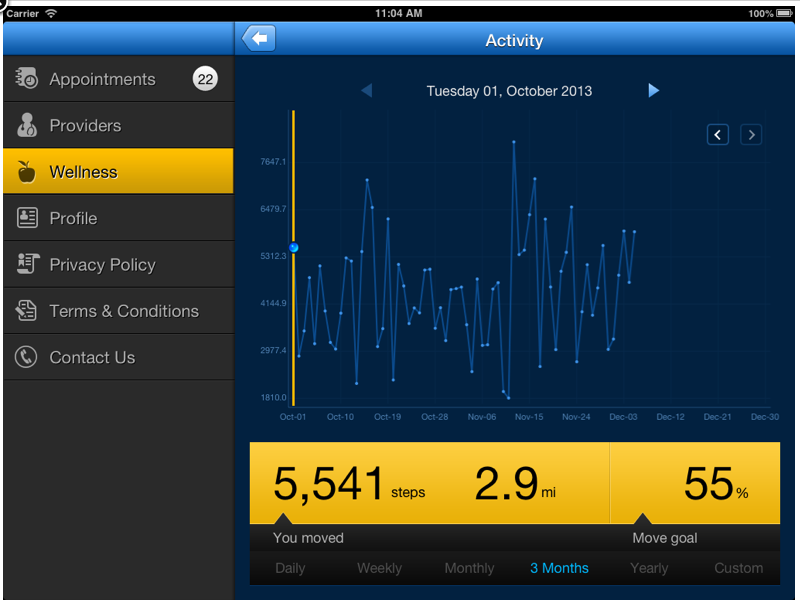 Exercise data available from Jawbone Up. The initial idea for Housecall started after I had several iPhone Facetime calls from my daughters when they were at ballet camp for the summer. They wanted my opinion of ailments of their feet and ankles suffered through weeks of ballet. They sent pictures and videos to help me “diagnose” their problems. This experience led me to think about how we deliver care to our patients. I have worked as a cardiologist for 17+ years. I have seen the beginnings of telemedicine in cardiology via expensive suites and thought that the same visit could be delivered through today’s smartphones. The smartphone has a high definition camera capable of delivering images as good as any telemedicine suite. There are amazing ancillary devices that have recently been developed to allow the patient to track their own medical conditions via their smartphones. The concept of mobile health or Mhealth and the quantified-self movement in healthcare also fit my idea of how we will deliver healthcare in the future. Patients are going to be the caretaker of much of their own medical data. The important part is to organize that data in a format to make it useful to their healthcare provider. Housecall is a 21st century method to deliver the doctor house call of the mid to late 20th century. The personal connection to your physician used to be solidified with an in-home visit from your physician. Now, that visit can be via your smartphone on your schedule at home or work. Housecall allows you to track your data and deliver it to your physician for a consultation. It has built in connections to Withings scales and blood pressure machines to track your weight, body composition, blood pressure, and pulse over time. It is also connected to the Jawbone Up band to track your activity, sleep, and diet information. A low tech method of taking a picture via the smartphone camera can send any data to your provider for review. 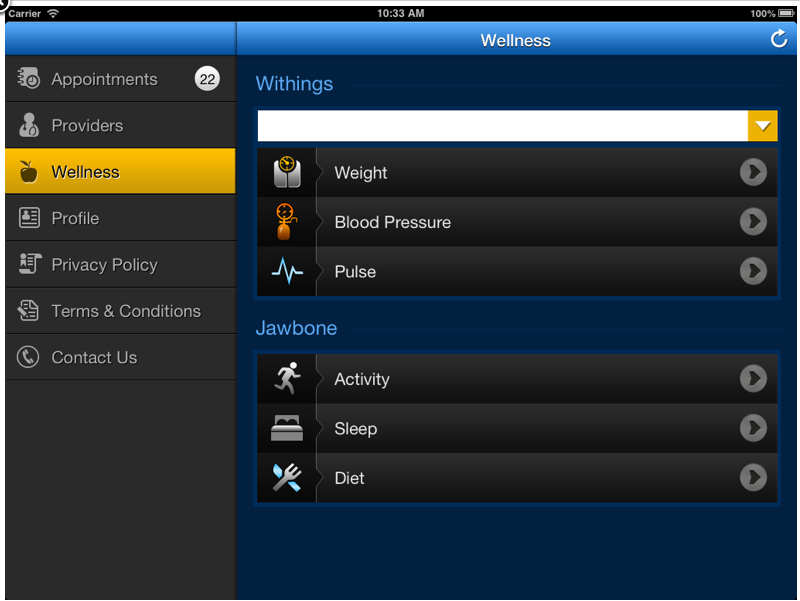 I plan to include connections to most of today’s mHealth devices in the near future as an in-app purchase option. Housecall will be available for the iPhone in the Apple App Store on January 1, 2014 and will soon be available for Android devices. We plan to add providers rapidly. If you are interested in joining as a provider, send an email to Housecall@iHeartDoc.com.